I don’t particularly enjoy applying makeup. Some people love it while I find it laborious. So I tend to buy convenient & easy-to-use beauty products. 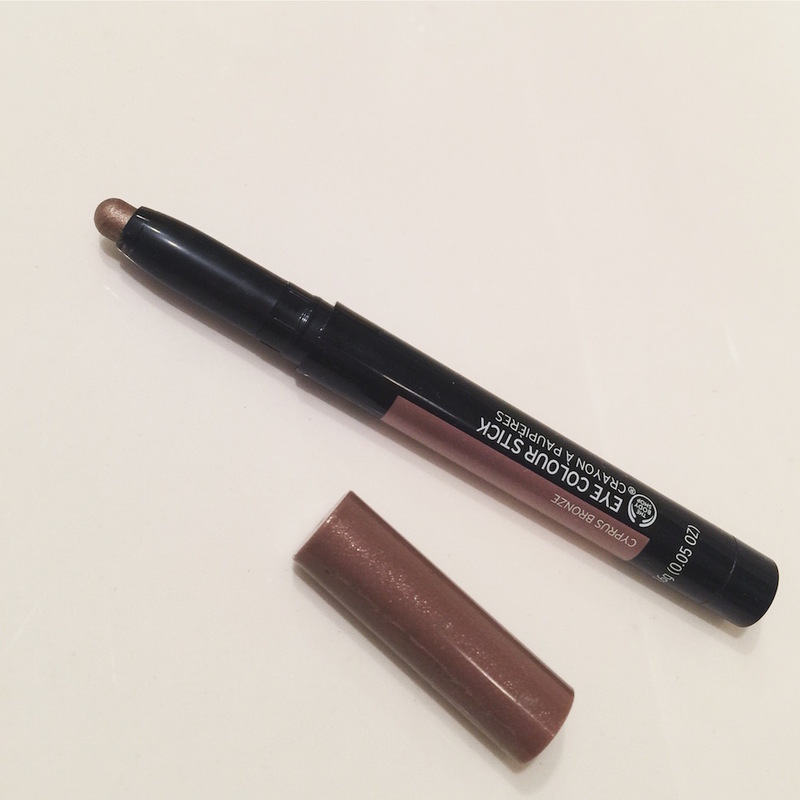 My latest easy-makeup find is this Eye Color Stick (in Cyprus Bronze, more colors available)by the Body Shop (my favorite brand). A few swipes across your eyelids and you are ready to go! Its versatile shade is ideal for everyday use. Love the subtle shimmer as well. You can see the makeup tutorial video showing how to achieve no-makeup makeup look using the bronzer stick. Watching this video made want to purchase the makeup. Reduce your makeup time with these effortless eye sticks!